Addiction doesn’t just affect the user. Chronic drug and alcohol abuse can damage relationships, and lead to severe emotional pain and unhealthy coping skills, such as enabling. How to repair relationships after addiction. How to find support for your recovery. The effects of addiction aren’t limited to the user. Addiction can take a heavy toll on people close to the user, such as spouses, family, and friends. Further, the effects of alcohol and drug addiction can persist through generations. Not every family is affected the same. It largely depends on family structure, coping mechanisms, and how everyone adapts to the substance abuse. These behaviors can damage a relationship and make it difficult for loved ones to trust the addict again. They may feel resentful, hurt, and emotionally exhausted. Loved ones may also develop codependent behaviors, such as enabling the addict, taking on the role of a caretaker, and placing the user’s needs before their own. Often, family members or friends require their own therapy for issues related to drug or alcohol abuse. Repairing relationships while in recovery requires hard work and commitment. Consistent positive and healthy behaviors can help to mend relationships in the long run. Complete Step 9 of Alcoholics Anonymous (AA) or Narcotics Anonymous (NA): If you are working through the 12 steps, you will eventually reach Step 9, which entails apologizing to those you have hurt and making amends. If you aren’t in a 12-step program, figure out other ways to atone for your mistakes. This could include paying people back after stealing money, getting a car fixed, paying legal fees, etc. 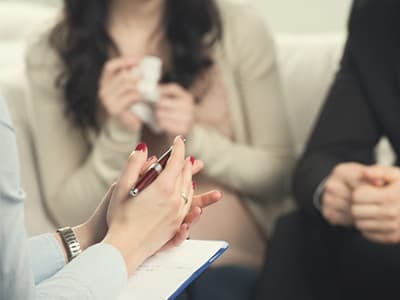 Go to couples or family therapy: These types of therapy focus on repairing dysfunctional relationships and improving communication and conflict resolution skills. Maintain sobriety and work on rebuilding your life: Return to work if you lost your job, find healthy hobbies, make a new sober group of friends, spend quality time with your family, and follow your relapse prevention plan. Take responsibility for your actions: Acknowledge your mistakes, make sincere apologies, and ask for forgiveness from those you care about. Make a commitment to remain trustworthy: Follow through with your promises. Show up on time for plans and obligations, do what you say you will do, and show your dedication to a new life through your actions. Learn and practice communication skills: Learn to communication your needs calmly and effectively, and listen and respond to your loved one’s needs. Make eye contact, avoid interrupting or redirecting the conversation to yourself, and refrain from passing judgment. Keep a journal: Sometimes confessing the mistakes you made while abusing substances will hurt your loved one even further. You might not want to disclose details that can cause pain and suffering, and you may also need an outlet for your emotions. Keeping a journal allows you to write down things you might not want to say to your friend or family member. Stay active in your loved ones’ lives: Be an active participant in the lives of your children, spouse, or other loved ones. Take interest in their hobbies and pursuits, and offer support and encouragement. If you don’t want to meet face-to-face or call, try writing a letter or an email to initiate contact. If you receive a positive response, you may want to suggest meeting up to apologize and make amends. If not, give your loved one time to process the information and wait until they’re ready to connect with you. Who Answers? to learn more about relapse and aftercare programs to help with your recovery. Regaining trust after an addiction takes time. People who are abusing drugs or alcohol are often unreliable, break promises, and neglect responsibilities. Don’t become angry or frustrated if your loved one is hesitant to trust you. In some cases, the damage may be too severe to fix, and you may need to learn to accept that. Be prepared to face resistance. Not everyone is going to be open and welcoming. Some family members or friends may be skeptical or unwilling to trust you again. Put yourself in your loved ones’ shoes. They may be suffering from emotional, financial, or mental health problems as a result of your addiction. Try to be empathetic and understanding of their situation. Be patient. It takes time and effort to return to the level of trust you had before abusing drugs or alcohol. Learn to forgive yourself. You won’t be able to move on and build a positive and healthy relationship if you continue to carry around guilt about your past behaviors. You can’t change the past, but you can control your future actions. Remember that you can only change yourself. You can’t change how other people perceive you. Focus on making improvements and re-establishing connections with others. Visit our forum and blog for more information about repairing relationships in recovery. You can connect with a community of people who are going through the same thing. In addition, ongoing treatment can be helpful for developing coping and communication skills. Following an aftercare or relapse prevention plan will communicate to your loved one that you’re committed to maintaining a sober life. Continuing individual or group therapy can also allow you to stay focused on your recovery while rebuilding relationships. If you need help finding a relapse prevention program or a therapy program, contact a treatment support specialist today at 1-888-319-2606 Who Answers? .
. Substance abuse and Mental Health Services Administration. (2004). Substance Abuse Treatment and Family Therapy. Treatment Improvement Protocol (TIP) Series, No. 39. Rockville, MD.